Since opening in 2013 The Rink has kept the entry fee for public skating at the same cost in spite of rising operational costs. As much as we would like to maintain these current prices for another year, we unfortunately must increase them slightly (50p increase) to ensure we can continue to be sustainable. The Rink is a not for profit social enterprise operated by Love Hockey Ireland (Charity Num: NIC102273) All income generated from The Rink funds the charities operations & programmes. From late December 2016 we will be operating a new customer loyalty card scheme which will provide a free skate session after so many paid sessions (similar to coffee shop schemes). We greatly value all our customers support and thank you for understanding our necessity for this slight increase in prices. These prices will come into effect from Saturday 19th November 2016. *Family packages are for 2 adults & children (U-11) only. 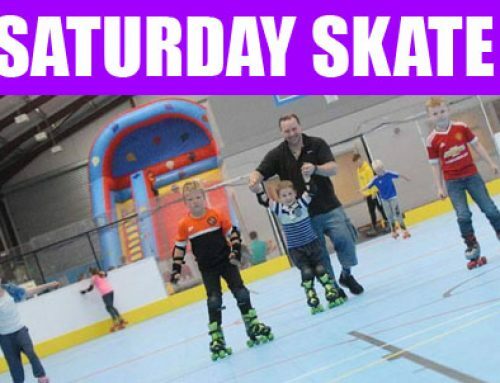 The prices include skate hire if required.